The Los Angeles Philharmonic (known affectionately as “LA Phil”) is now celebrating its 100th anniversary in grand style. 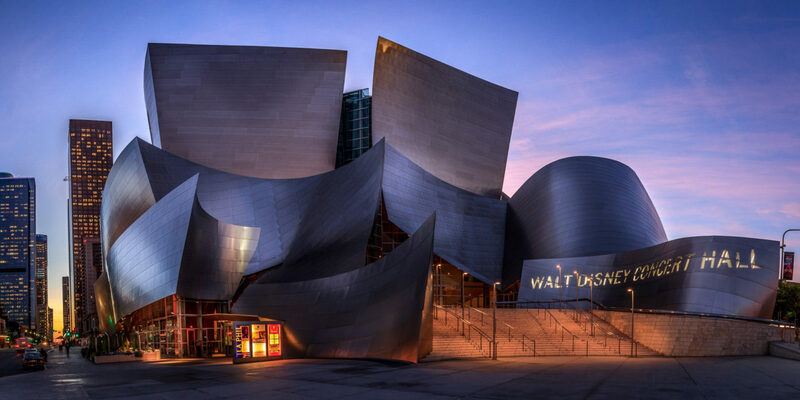 With a series of special performances at Walt Disney Concert Hall and The Hollywood Bowl, this season is not to be missed. I witnessed their All-Russian Chamber Music Evening on October 2, 2018. 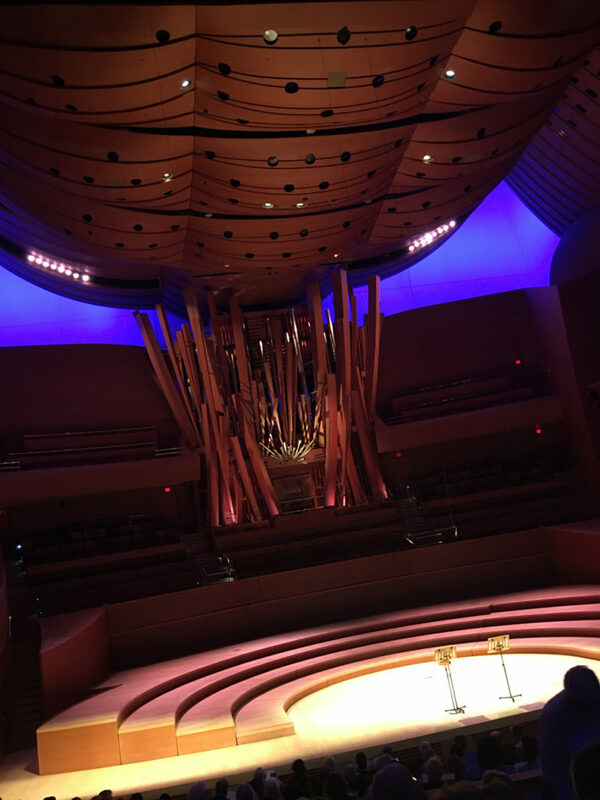 It was a delightful look into an at-once intimate series of works in the grand setting that is the Frank Gehry-designed Disney Concert Hall. Let me begin with the building. Arriving on a Wednesday night and seeing the Disney Concert Hall for the first time in person, I was taken with its intimacy. In photographs, the structure looks imposing– a bit menacing, in fact, thanks to its cold, rounded steely forms. That night, I was pleased with the lighting and scale of the building. It is more approachable and graspable as a space than one may imagine. The lobby is a lovely vortex-like space with nearly no straight lines. The hall itself is an exquisite, almost magical amphitheater whose ceiling and fantastical organ make for stunning scenic optics while listening to music. The evening’s program consisting of Tchaikovsky, Shostakovich, and Prokofiev contributed to the sense of intimacy. Chamber music is designed to be played and listened to in rooms devoted to small groups of musicians and small audiences. 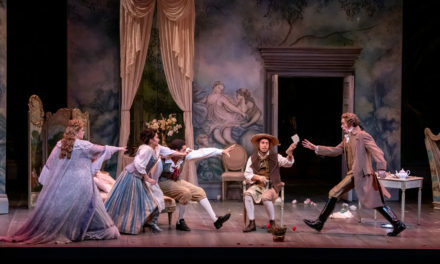 Originating in the 17th and 18th centuries, chamber music performances were part of private grand parties thrown by the well-heeled and well-listened bourgeois hosts of France, England, Holland, Spain and Germany. 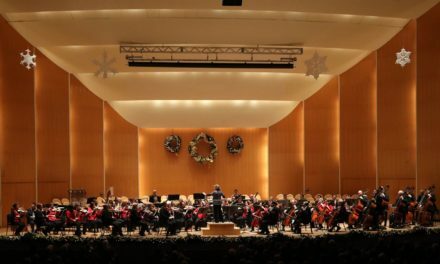 Listening to intimate pieces for four or five musicians in a large concert hall can often be a bit discordant, with the music and the sound itself often floating into the architectural oblivion of the spaces designed for large orchestras. In the case of the L A Philharmonic’s All-Russian program, the night was a success, thanks in part to the wood-dominated warmth of the Disney Concert Hall’s interior. Interestingly, the house was only approximately 3/4 full, making the event seem like a David Lynch dreamscape of hidden and private secrecy available to only a selected privileged few. Beginning with Sergei Prokofiev‘s Sonata for Two Violins in C Major and concluding with Shostakovich’s Piano Trio No. 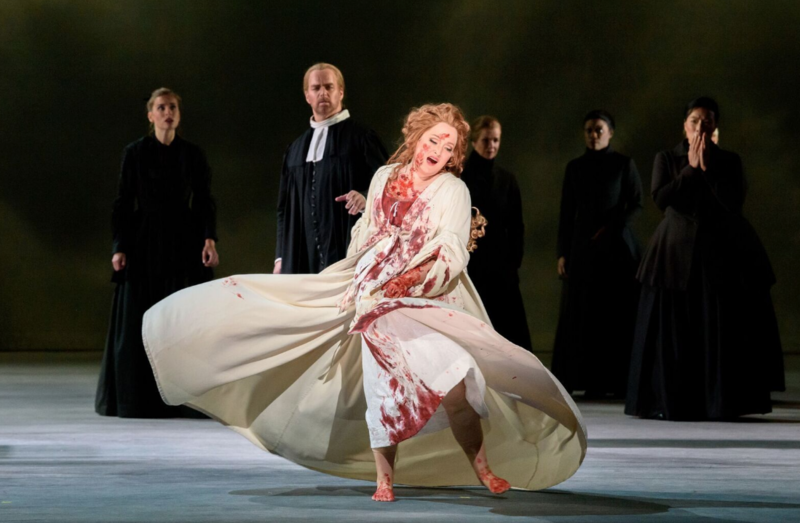 2 in E Minor, the first half of the night delivered on the promise of Russian drama and chamber music delicacy. Lyndon Johnson Taylor and Tianyun Jia played lovingly and with a focused commitment in the Prokofiev work. For the Piano Trio by Dimitri Shostakovich, Mark Kashper produced a firm and resonant performance accompanied ably and calmly by Barry Gold on cello and Lucy Nargizyan on piano. Pyotr Ilyich Tchaikovsky‘s String Quartet in D Minor concluded the evening, and what a conclusion it was. Featuring Nathan Cole and Akiko Tarumoto on violins, Ingrid Hutman and Ben Ullery on violas, and Dhae Kim and Gloria Lum on Cellos, the piece exuded a strange Siberian calm, as if the cold of Russia emigrated to the Pacific Palisades for a respite of 60 years. I will remember it fondly.